Bluesman David Ralston and singer/sanshin player Merry promise an awesome experience to the audience on Friday. Musician David Ralston, a blues man, who was discovered by the legendary producer Delaney Bramlett, is known for his fusion of blues and Ryukyu music that he has so far published on nine CDs. 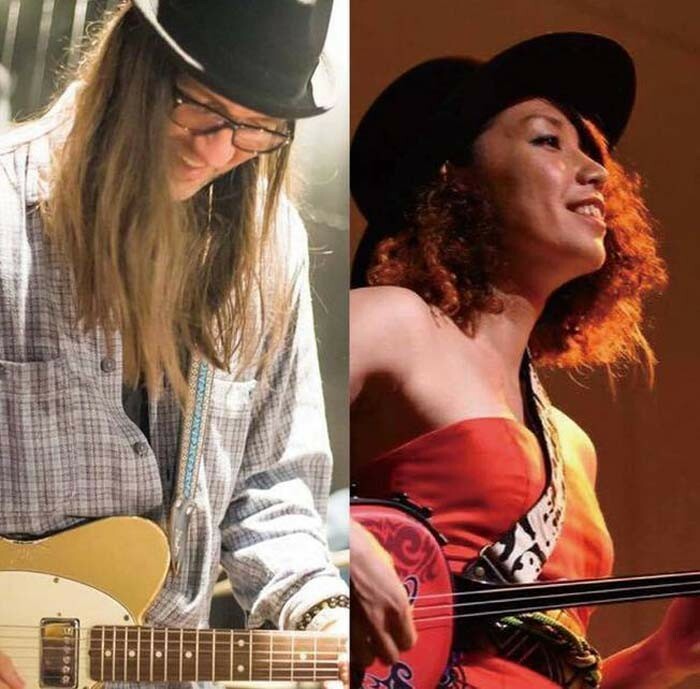 This Friday, Ralston, a resident of Okinawa for past 25 years, with his band, and singer and sanshin player Merry from Itoman City, perform in a joint concert at a venue at Okinawa City’s Plaza House Shopping Center promising to produce some completely new and exciting tunes. The concert will take place at Rycom Anthropology, which is a gallery and art shop that opened in April last year. The gallery displays a permanent exhibit of old pictures featuring old Okinawa, and sells selected unique art goods. Ralston was born 1969 in Indiana, and moved to Okinawa when he was 20 years old. He began to play guitar and was discovered by Delaney Bramlett, who produced Eric Clapton, George Harrison and Duane Allman. In media, Ralston has appeared in Awamori commercials and had a corner on the radio program. His new album ‘The L.A. Sessions’ came up to the 9th place in the Airplay Direct Rock’s chart in 2015. Merry is from Itoman City, Okinawa, After graduating from high school, she went to the U.S. and spent three years there. Now she is working as a reporter on an Okinawa Cable TV program and DJ on a community FM. In 2008, she went to Brazil and played at events overseas. She also is active creating in movie music and as a narrator. The concert takes place tomorrow, Friday, Apr. 8th, Friday, at Rycom Anthropology on the 3rd floor of the Plaza House Shopping Center at 3-1-12 Kubota, Okinawa City. Door to the venue open at 19:00, and the concert starts at 19:30. Tickets are ¥2,000 in advance and ¥2,500 at door, plus an order of one drink.